On Tuesday, he conducted an informal poll of Senate Republicans, asking them to raise a hand for either Mr. Powell or Mr. Taylor. Some refused. “I don’t think that’s a very good way to pick a Fed chair, so I declined to participate,” said Senator Bob Corker of Tennessee, an increasingly outspoken critic of Mr. Trump’s style of governance. On Wednesday, Mr. Trump sought advice from a TV personality, turning the tables on Lou Dobbs of Fox Business Network in the middle of an interview. “Tell me who your preference is,” Mr. Trump said. He pressed repeatedly for an answer from the visibly flustered host. Mr. Dobbs finally endorsed Ms. Yellen. Mr. Trump responded: “She was very impressive. I liked her a lot. I mean, it’s somebody that I am thinking about.” But, he continued, “I have to say you’d like to make your own mark,” suggesting that he might be inclined to nominate someone else. White House spokeswoman Sarah Huckabee Sanders said on Friday that Mr. Trump will announce his pick next week. Sarah Binder, a professor of political science at George Washington University, said the most unusual aspect of Mr. Trump’s deliberations was the diversity of the candidates. Janet L. Yellen in 2014. Her term as Fed chairwoman ends in February. Presidents generally decide what kind of chairman they want and then pick a nominee. President Jimmy Carter, who chose twice, first decided that he wanted an industrial executive, settling on G. William Miller, the head of Textron. Nearly 17 months later, deciding he wanted someone respected by financial markets, Mr. Carter picked Paul Volcker. President Ronald Reagan renominated Mr. Volcker, then chose Alan Greenspan, draining the drama from the process for almost two decades. In 2003, President George W. Bush offered Mr. Greenspan a fifth term a year before the end of his fourth term. When Mr. Greenspan retired in 2006, Mr. Bush chose Ben S. Bernanke from a list of three Ivy League economists who had served as Republican policy advisers. President Barack Obama renominated Mr. Bernanke, then sought a replacement among Democratic economists who embraced the Fed’s power to reduce unemployment. Supporters of Ms. Yellen and her main rival, Lawrence H. Summers, battled publicly, but it was a contest over personalities, not ideas. Mr. Trump’s choice, by contrast, could have significant consequences for the direction of Fed policy. Mr. Powell, who supported the Fed’s efforts to stimulate economic growth, now favors a gradual unwinding of those policies. Mr. Taylor opposed the stimulus campaign, and he has called for the Fed to retreat more quickly. One possible explanation is that Mr. Trump is struggling with the imperatives of a polarized political environment. 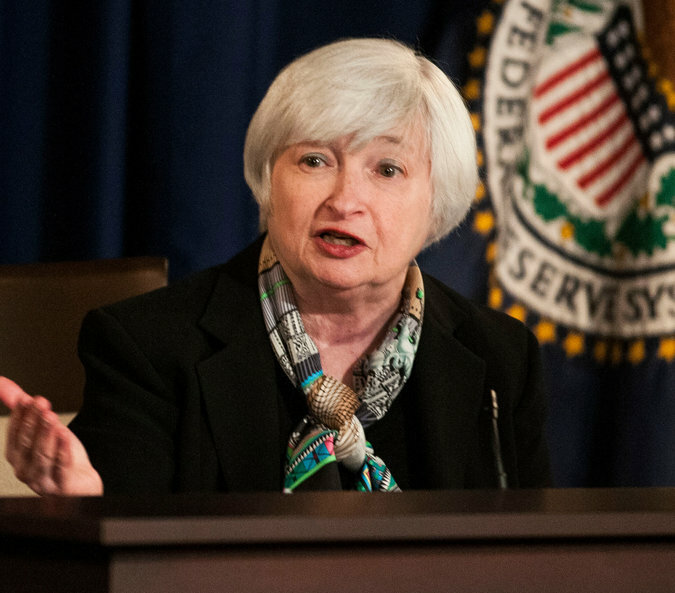 He has repeatedly praised Ms. Yellen for her performance as Fed chairwoman. The economy is growing and the stock market is rising, and Mr. Trump wants both trends to continue. But conservatives are pressing Mr. Trump to seize the opportunity to shift the approach of the central bank by appointing Mr. Taylor. Three House Republicans, including Representative Warren Davidson of Ohio, sent a letter to Mr. Trump on Wednesday pressing for new leadership at the Fed. Republicans want to constrain the Fed’s conduct of monetary policy, and to install a Fed chairman who is supportive of efforts to reduce financial regulation. Some of Mr. Trump’s advisers, including Treasury Secretary Steven Mnuchin, favor the nomination of Mr. Powell as a kind of middle road: a Republican likely to maintain the Fed’s course on monetary policy, but with greater sympathy for relaxing financial regulation. Ms. Binder said that replacing Ms. Yellen would reinforce the growing tendency to view the Fed as a partisan political institution, with every president picking a new chairman. But Peter Conti-Brown, a legal studies professor at the University of Pennsylvania who is writing a political history of the Fed, said that Mr. Trump was simply making explicit the longstanding reality that presidents seek to influence the course of monetary policy. Indeed, Mr. Conti-Brown said he saw a silver lining in Mr. Trump’s showmanship, and in the diversity of the candidates, because it was providing a rare opportunity for the public to compare and debate different views of the Fed’s role in the economy.